M.2 flash-based SSD is a transition from mSATA which uses the existing PCI Express Mini Card form factor and associated connector. Remarkably small in size and capable of delivering high performance, M.2 SSDs are now widely used in ultrabooks, tablets, and small form factor PCs where there is not enough space for conventional storage. The TBS-453A is powered by an advanced 14nm Intel Celeron N3150 quad-core 1.6GHz processor that can automatically burst up to 2.08GHz when performing CPU-intensive tasks. Coupled with dual-channel 4GB/8GB DDR3L-1600 RAM and four M.2 SSDs for storage, the TBS-453A has 2x Gigabit LAN ports and 3x Gigabit switch ports. The built-in 2 Gigabit LAN ports can deliver up to 112MB/s throughput independently for optimizing mission-critical tasks. The TBS-453A features Intel AES-NI hardware-accelerated encryption. With AES 256-bit encryption for full NAS volumes, the built-in 2 Gigabit LAN ports can deliver up to 109MB/s throughput independently. The TBS-453A includes additional hardware-based LAN switch ports with network switch mode and private network mode settings, allowing you to easily build a flexible network environment. In the default switch mode, users can simply use the TBS-453A's network switch functionality to share the Internet and NAS resources at the same time. While in the private network configuration, users can create a closed network, allowing them to create secure environments for activities such as creating a secure surveillance recording with IP cameras. The TBS-453A's network design greatly boosts collaboration and productivity at work as it ensures always-on Internet connectivity. Business meeting attendees, for example, could benefit from the network accessibility to access files stored on the TBS-453A or to search for information online during the meeting. The TBS-453A supports QNAP’s exclusive QvPC technology and comes with dual HDMI output, enabling you to use the NAS as a PC with a keyboard, mouse and HDMI monitors. You can configure the displayed content on the two monitors in either a “duplicated” or “extended” desktop configuration. Duplicating will display the same content on both displays, and extended allows users to display applications over two displays for improved multitasking convenience and productivity. The TBS-453A can also be used as an amazing media player by using HD Station to enjoy rich apps including Kodi™, HD Player, Plex Home Theater, YouTube™, Spotify, JRiver, Google Chrome™, Mozilla Firefox, and more. Alternatively, you can directly use the TBS-453A as a PC by using Linux Station to enjoy the incredibly popular open source Linux operating system. The TBS-453A is provided with a 65W 19V compact AC adapter and supports a DC power supply of 10-20V for maximum flexibility, making it suitable for industrial, factory and other environments that need a wide range of input voltages. The TBS-453A features QTS-Linux dual systems which build on QNAP's advanced virtualization technologies. The revolutionary architecture of the TBS-453A enables users not only to enjoy the various advanced features introduced in QTS 4.2, download rich apps from QTS App Center but also to develop or utilize IoT packages for Linux and display them using HDMI output. With the TBS-453A, you can develop and install various IoT packages on demand and centrally store the data on the TBS-453A, benefiting from a secure private storage and development solution. Simply plug in a keyboard, mouse and HDMI monitor to the TBS-453A, and use the Linux Station as if you were using a PC*. You can also operate the Linux Station as a remote desktop via web browser for instant management**. Notes: *Linux Station is available from QTS 4.2.1. To use the Linux Station, you must install it from the App Center. ** The remote desktop function does not support remote audio output. Virtualization Station allows you to host virtual machines (VM) on the TBS-453A and access them via a web browser or VNC. Virtualization Station supports multiple operating systems, fast VM creation, VM backup & restoration, VM import/export, snapshot, and Device Management for centrally managing VM. Virtualization Station allows the TBS-453A and VMs to share the same LAN port. No longer constrained by physical network performance, high-speed Virtual Switches greatly increases data transfer between VMs as well as between VMs and NAS through the internal interface. You can also download VMs on demand from online VM markets and import them to the TBS-453A without any complex procedures. The TBS-453A also features the game-changing container technology for server virtualization with QNAP Container Station. It exclusively integrates LXC and Docker lightweight virtualization technologies, allowing you to operate multiple isolated Linux systems on the TBS-453A as well as download apps from the built-in Docker Hub Registry. Container Station also supports the Online Document app*, which allows you to directly view, edit and store files of various types anytime on your NAS, including Office documents, images and text files. The TBS-453A offers various data recovery options. The web-based snapshot tool helps easily backup and restore data on the TBS-453A back to any point of time. You can take up to 1024 snapshots for both volumes and LUN, efficiently replicate volume/LUN snapshots via Snapshot Replica to remote servers by copying only the changes made, and quickly clone a volume /LUN snapshot as a local volume without interrupting the current system operation. Windows users can also directly restore files from snapshots with the Previous Versions feature, saving time and effort without requiring IT support. RTRR (Real-Time Remote Replication) supports real-time or scheduled data backup to a remote QNAP NAS or FTP server and synchronizes files between remote and local folders. You can enjoy backup versioning to preserve a certain amount of versions, with options of simple versioning to schedule how many versions should be retained and for how long, or smart versioning with a rotation scheme that automatically replaces earlier backup versions. The TBS-453A also supports the rsync protocol to back up data to another remote server on a scheduled basis. Data can also be backed up to and restored from a range of cloud storage services, including Amazon S3, Amazon Glacier, Microsoft Azure, ElephantDrive, Dropbox, Google Drive™, Google Cloud Storage™, and more. The TBS-453A supports SMB/CIFS, NFS, and AFP protocols for file sharing across Windows, Mac, Linux/UNIX networks. Data, logs and ISO images of CDs and DVDs can be centrally stored on the TBS-453A and protected by an integrated antivirus solution. The Windows AD and LDAP services enable system administrators to configure user permissions by using an existing Windows AD server, LDAP server or built-in LDAP service. The TBS-453A supports SAMBA v4 and can act as a Windows domain controller to manage privilege settings. QNAP NetBak Replicator supports real-time and scheduled data backup on Windows including Outlook email archiving. Time Machine is also supported to provide Mac OS X users with a solution to effortlessly backup data to the TBS-453A. A wide range of third-party backup software such as Acronis True Image and Symantec Backup Exec are also supported. Direct-attached Storage (DAS) devices such as USB hard drives are incredibly convenient in portability, but they fall short in file sharing and functionality and can only be connected to one server or PC at one time. By connecting a DAS to the TBS-453A you can easily share its content with other users without having to unplug and move it around. The USB ports on the TBS-453A also support devices such as UPS and printers for greater all-round functionality. 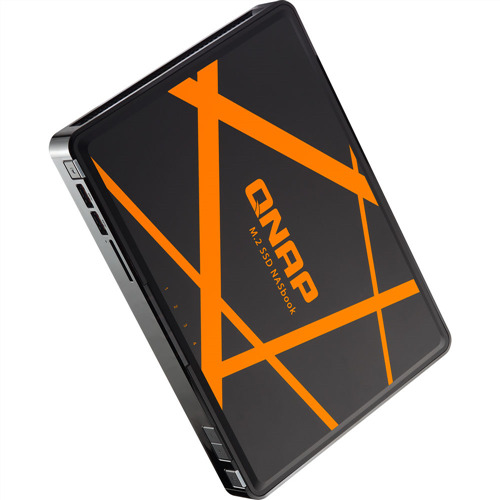 QNAP HD Station integrates the powerful Kodi™ media player and web browser. With HDMI connectivity, you can connect the TBS-453A to a HDTV or an A/V receiver to enjoy your rich multimedia content and 4K (H.264) videos with the best audiovisual experience. The splendid user interface of Kodi™, 7.1 channel audio passthrough*, and the TBS-453A's powerful real-time transcoding capability facilitate smooth and enhanced playback of 4K videos**. You can even watch YouTube™ videos, surf the web and manage the TBS-453A using a web browser with multilingual keyboard input. HD Station supports multi-tasking and user authentication so only authorized users can access the stored data. The TBS-453A includes a QNAP remote control for you to conveniently control HD Station through its built-in IR receiver. With the help of the new smart remote control learning function, you can pair up to three TV or stereo IR remote controls and program your frequently-used buttons and functions. From now on, you'll never again live in fear of losing or damaging your dedicated remote controls***. You can also turn your mobile devices into remote controls by installing the Qremote app. Notes: *A receiver with HDMI support is required for decoding multi-channel surround sound. ** The quality of video and music delivery can vary according to hardware and network environments. ***Some remotes may not be compatible. Featuring advanced 8th-generation Intel HD Graphics, the TBS-453A supports 4K (H.264) hardware decoding and delivers superior real-time 4K (H.264) and 1080p video transcoding to convert videos to universal formats that can be smoothly played on PCs, mobile devices and Smart TVs. With offline transcoding, even when you can only connect using a low-speed Internet connection, you can still enjoy smooth video playback using File Station, Video Station, and the Qfile mobile app by selecting a pre-rendered lower resolution video. The TBS-453A also allows you to set a dedicated folder for automatic video transcoding. OceanKTV is the world's first NAS-based karaoke application and turns the TBS-453A into a high-quality karaoke system. The TBS-453A comes with two 3.5 mm microphone jacks, a Line out port and by connecting it to an HDMI display and external speaker the TBS-453A provides all you need to start a karaoke party. By installing the OceanKTV mobile app on your tablet, you can also control the entire experience without interrupting anything. More than just a NAS, the TBS-453A is an affordable karaoke machine for singing entertainment. The TBS-453A supports Qsirch, a proprietary near real-time search tool for quick file searching. In addition to thumbnail previews, Qsirch now allows you to find and preview Gmail emails that are backed up on the TBS-453A. Qsirch even remembers your search history allowing you to quickly navigate to files you've previously searched for. Qsirch is a huge productivity boost that greatly reduces the time spent looking for files on the NAS, allowing you to focus on other tasks. The revamped Qsirch 2.1 adds a Google Chrome Extension™ that allows you to search for files on your NAS when you use Google Search™. In open network environments, business data may be exposed to a potential hack. The TBS-453A provides numerous security options, such as 2-step verification, encrypted access, IP blocking, and more. IT administrators can also control the access rights of each user to different folders, preventing unauthorized access to important files. The TBS-453A supports AES 256-bit encryption, preventing sensitive business data from unauthorized access and breach even if the hard drives or the entire system were stolen. For added convenience, users can store the decryption key on a USB drive for automatic unlocking when the NAS is started. Surveillance Station is a professional network surveillance Video Management System (VMS) that offers a user-friendly management interface, over 3,000 compatible IP camera models, and expandable IP camera channel licenses. It supports real-time monitoring, video & audio recording and playback with a wide range of customizable settings. You can also install the Vmobile app on your iOS or Android™ devices to manage monitored channels anytime and anywhere to safeguard your office environment, or install the Vcam mobile app to turn your device into a network camera to instantly record to your TBS-453A. The TBS-453A includes 4 free IP camera channels and you can expand up to 40 channels by purchasing additional licenses. The built-in App Center provides various install-on-demand apps developed by QNAP and third-party developers, including tools for backup/sync, business, content management, communications, download, entertainment, and much more. It is also a centralized location for managing & updating installed apps once newer versions are released, adding potentially limitless opportunities for the TBS-453A. With adjustable 20-stage brightness controls for LED indicators, the TBS-453A provides flexible LED brightness options. Based on the surrounding environment, you can adjust the brightness of all system indicators and also schedule the system to automatically dim the LEDs at certain times when needed. The TBS-453A supports online capacity expansion for archiving rapidly-growing data by connecting a QNAP expansion enclosure. With the QNAP scale-up solution, the raw storage capacity can be expanded on demand*, making the TBS-453A an ideal file center with large storage capacity for storage-intensive business applications such as video surveillance, data archiving, TV broadcast storage, and more. With the support of QJBOD Express (JBOD enclosures roaming)**, you can simply connect a large capacity QNAP expansion enclosure to the TBS-453A, and migrate data to another NAS through the JBOD enclosure without requiring network connectivity. 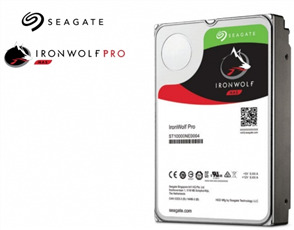 Notes: *To expand the storage space with an UX expansion enclosure, you must create a separate static volume or storage pool on the UX expansion unit. **RAID groups of storage pools cannot cross multiple enclosures. The TBS-453A supports various business applications as an all-in-one Turbo NAS with cost-efficiency. The Turbo NAS supports Web server which allows numerous websites built on the same server conveniently. Administrators can manage up to 32 websites on the single one Turbo NAS with reduced IT cost. 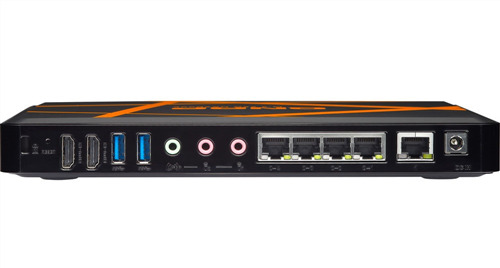 The Turbo NAS supports Surveillance Station to connect and manage multiple IP cameras remotely, including real-time monitoring, video recording, playback, and event notifications. • Pre-installed M.2 SSDs: - None. Optional purchase. - Support USB printer, pen drive, and USB UPS, etc. • Weight: 724g / 1.60lbs.